Starting a window treatment project can be daunting, considering the amount of money that you have to spend, and the possibility of ending up with result that is far from what you wanted. To avoid this, proper preparation and the use of high quality skill is always necessary. 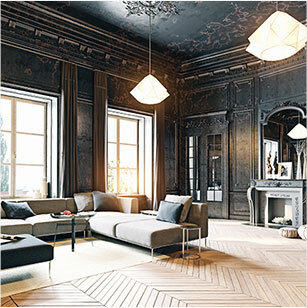 Part of the former involves understanding some of the current trends in window treatment trends, and then applying them in your current project. The concept of big and bright windows was a rising trend in 2016, and this is likely to sustain widespread interest throughout 2017. The only difference is that in addition to installing big, bright windows, 2017 designers are also likely to focus on making the windows the focal point of the room. This can be done by highlighting the window using appropriate window treatments, or changing the seating arrangement in the room to enjoy the natural light fully. The strategic use of mirrors to reflect natural light can also help. The end result is that you will have an interior décor that has a lighter feel, and which will also make the room feel more spacious. Environmental sustainability has been a hot topic in the past year, and is likely to be even more discussed and implemented in various fields this year. Reducing carbon emissions and the amount of power we consume is central to the goal of reducing emissions. If you are building a new home or office or are looking to update your current windows, choosing energy-saving window treatments is therefore ideal. In addition to saving the environment, using energy-saving window treatments will also reduce your energy bills. Over time, you may end up recouping the cost of the installation by having a lower power bill overall. Of course, work with professionals in the field to get the best advice and service. In 2017, vinyl windows are likely to become more popular as an affordable window style option for many homeowners. 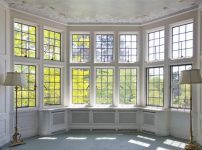 With access to a wide variety of colors and textures, vinyl windows are attractive since they can be used to achieve virtually any effect desired. The longevity and energy-saving benefits of vinyl have also been recognized as important features that attract more people in using them. What’s more, vinyl windows are able to be complemented with a wide variety of window treatments, such as cellular shades, vertical blinds, plantation shutters, and more. 2017 is also the year that will see an increase in confidence when it comes to choosing curtain designs. In the past, most people were conservative regarding the color and design of the curtain fabric. However, we are likely to see an increase in demand for bold colors. Examples of these include topaz, turquoise, and emerald. The goal is to end up with a window curtain that will pop out with its color.